A maligned player for much of his AFL career, Stephen Patterson was one of Collingwood’s most durable players of the 1990’s. Hailing from Norwood in South Australia, a good hunting ground for Collingwood recruiters, Patterson was selected at pick 34 in the 1993 National Draft. He made his AFL debut two years later in round one of the 1995 season, against arch rival Carlton, at the MCG. Despite losing, Patterson showed positive signs for the Pies in picking up 11 possessions as a rover and scoring one behind. The next week, Patterson helped himself to another 12 touches as the Pies went down by four points to West Coast, but it was not enough to hold his spot in the senior side. Steven returned to the side for the round six clash with Richmond, where he won ten touches in a losing side. 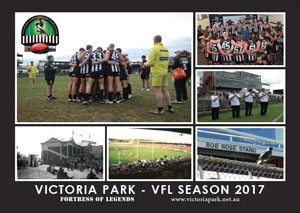 The following week, Patterson was quiet for the Pies in their first win for the year against Sydney at Victoria Park. He held his spot in the side, and scored three goals the next week against Fremantle, again at Vic Park. Had it not been for inaccurate kicking, Patterson could have ended up with five goals. Come round ten, against Fitzroy, at Victoria Park again, ‘Patto’ played arguably his best match in his short career, when he gathered 19 possessions and scored one goal one. His purple patch continued onto the next week, when he kicked another four goals under lights against St.Kilda. Two weeks later in his home town of Adelaide, Patterson was at it again, kicking three goals and winning 15 possessions. He was good, again, in the Pies loss to the Kangaroos, being one of the only players to hold their head high. However, the following week, he struggled in the heat of Brisbane. Patto returned to form a week later, winning 17 touches and slotting a goal. However, Patto’s inconcistency became evident, after another three weeks, in which he was quiet. Nevertheless, Patterson was back in the best against Hawthorn picking up 18 disposals and scoring a goal. Moreover, he rounded off his first season in solid form, with another two goals in the side’s loss to Sydney – which was to be Coach Leigh Matthews final game. At the close of his first season, Patterson had played 18 games for 19 goals – a solid start. The year 1996, saw Patterson play 21 games for 27 goals, but it was not his best season. Patterson lost his way after being suspended for one week, for charging Carlton’s Ron De Lulio, in round 13. After that, he became less focused and tentative in his approach on the ball. Consequently, he was dropped for the round 22 clash with the Bears, at Victoria Park. The selectors noted that they wanted him to work on his main deficiency – kicking. In addition, he needed to work harder on winning his own ball, as well as his tackling. Patterson began 1997 on fire, dominating the first round of the season against Port Adelaide, where he scored the first three goals of the day. He also picked up 27 possessions on a great day out. He again featured among the best, in the 107 point drubbing of Melbourne the next week, where, if he had of kicked accurately he could have scored four goals. Patto missed the following round due to injury, but was back the following week in the loss to Carlton. He gathered 14 possessions, and two goals in the ANZAC Day win over Essendon, before a quiet day against Adelaide. Following that, Patto was on fire with 20 disposals, in the big victory over reigning premiers North Melbourne, before scoring another two goals against the much improved Western Bulldogs. However, it was all down hill from there, as the side lost five games in a row, including round 14, the round that he was dumped from the side, after a quiet couple of weeks. He returned to the side to figure in the best in a big win over Melbourne, before a solid match against Carlton two weeks later. Patterson missed out on the final match of the season, in which the Pies ran over the top of North. 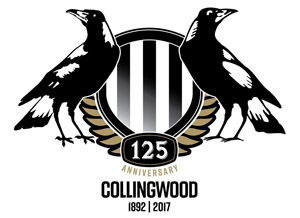 The season had started so well for Patterson and Collingwood, before they both tapered off as the season wore on. The year 1998 was perhaps Patterson’s best, and most consistent season in the AFL, where he finished 3rd in the Copeland Trophy – the Magpies Best and Fairest. Patto gained 76 votes, 37 off winner Nathan Buckley. Moreover, he played in all but one match and played particularly well in victories over Carlton, Hawthorn and Essendon. In those matches he received two Brownlow votes for his efforts. Patterson started 1999 in the reserves, before fighting his way back to the senior group to play all but two matches. Patterson dominated in round eight, when he kicked three goals, in what was May Day in Melbourne in years. He won two Brownlow Medal votes for his efforts in the Pies first victory of the season over lowly Fremantle. He was also the 6th highest goal scorer for the season at Victoria Park. However, 2000 was Patterson’s final year of AFL football. Under new coach Mick Malthouse, Patterson was over taken by Collingwood’s young brigade. 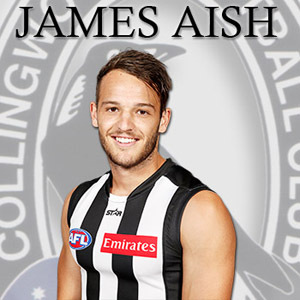 He played only two games for the season, on the Queens Birthday against Melbourne, where the Pies went down heavily, and against West Coast. Patterson was driven around the MCG in a car along side Sav Rocca, in honour of their footballing feats. Patterson finished up on 96 games and 88 goals, in a quiet yet lively career.